Composer, creator, master perfumer. 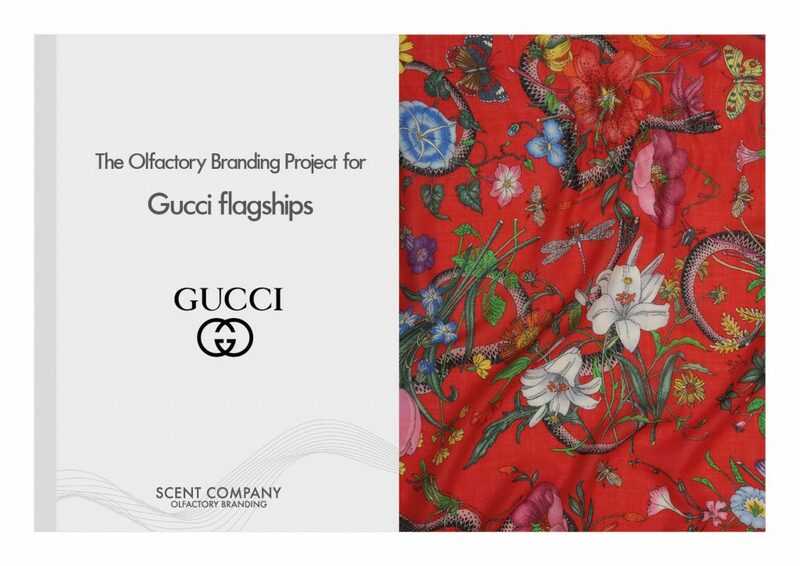 It is to him that hundreds of ingredients are given to be used for the design of the tailored olfactory compositions. And it is always him that, like a conductor, harmonizes olfactory notes like a musical score, translating them into a previously imagined olfactory form. A science? Not only. Above all an art. A good perfumer must be a bit “chemical” but above all “an artist and a visionary” who is able to have in mind not only an odor but also its transformation. 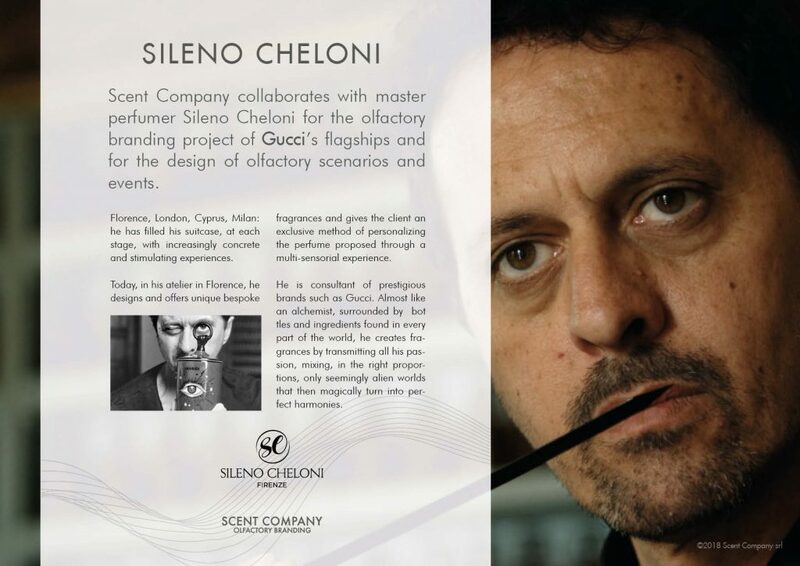 Sileno Cheloni represents all this: art, passion, mystery, alchemy and imagination. 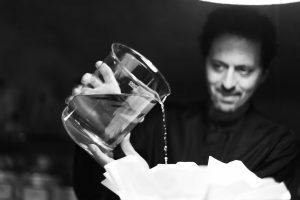 Sileno is dedicated since ever to bespoke artistic perfumery and recently has entered into a partnership with Scent Company to extend and expand the company’s olfactory branding projects with the design of custom signature scents and the organization of unique olfactory events. 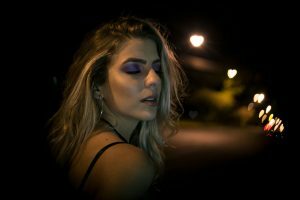 The perfumery that is called artistic or niche is the one that comes out of the commercial schemes to offer exclusive creations as emotions enclosed in jus made like tailored suits. 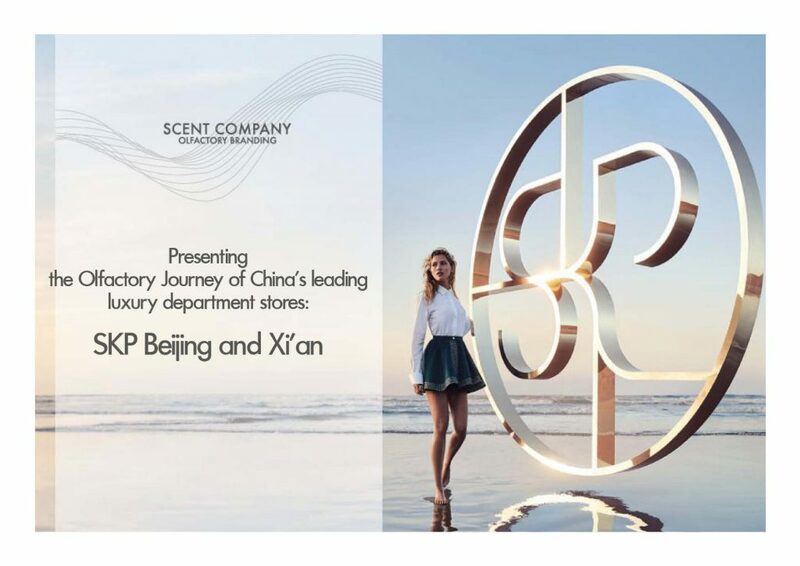 This is why Scent Company organizes in collaboration with Sileno Cheloni a series of experiential olfactory events in business locations such as store, hotels and spas. “Perfume is ritual, memory, magic and pure freedom to experiment”. 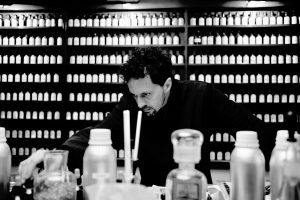 During the workshop, master perfumer Sileno Cheloni illustrates the history of perfumery, the techniques to create a bespoke perfume and how to assemble the fragrances. 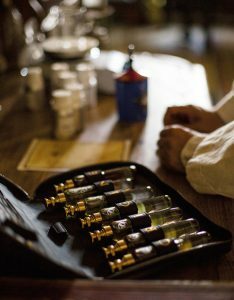 Through the use of 21 compositions, specifically designed for the event, each participant is guided in the creation of his personalized perfume, unique and unrepeatable, that can take home with him. 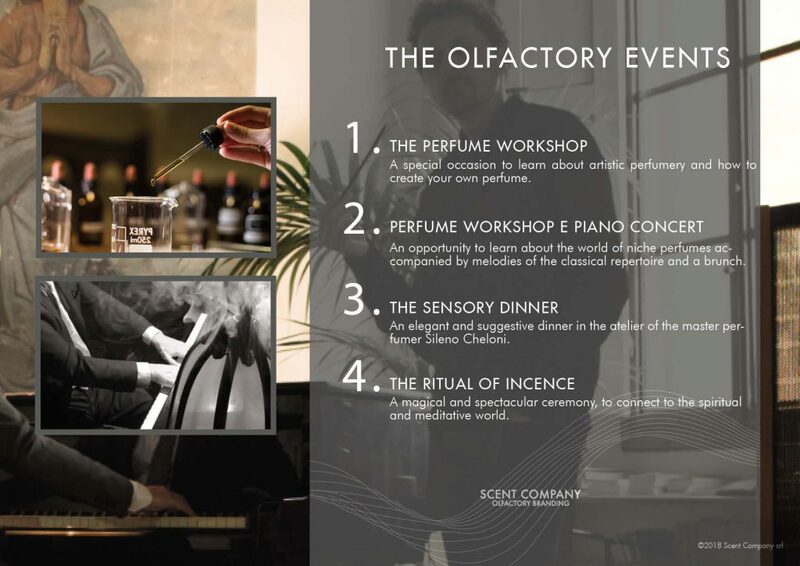 During the Perfume Workshop & Piano Concert, the master perfumer Sileno Cheloni illustrates the history of per­fumery, the techniques to create a personalized perfume and how to assemble the fragrances. 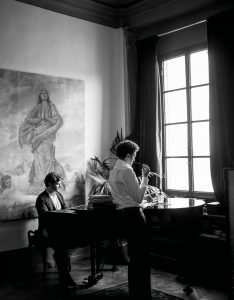 All the process is accompanied by the melodies of a professional pianist and an exclusive brunch. Sileno Cheloni welcomes its guests among the rooms of Palazzo Corsini Antinori Serristori in Borgo S. Croce in Florence to discover culinary recipes, aromatic secrets and fine wines in harmony with the olfactory notes chosen for the evening. A professional pianist accompanies the evening with melodies studied on the basis of olfactory notes. The evening ends with the mystical ritual of incense and the creation, for each participant, of the tailored perfume. The Ritual of incense is a sort of magic ceremony celebrated by Sileno Cheloni. For the master perfumer the ceremony is a very important event because perfumery is a ritual to get in touch with one’s spirituality. 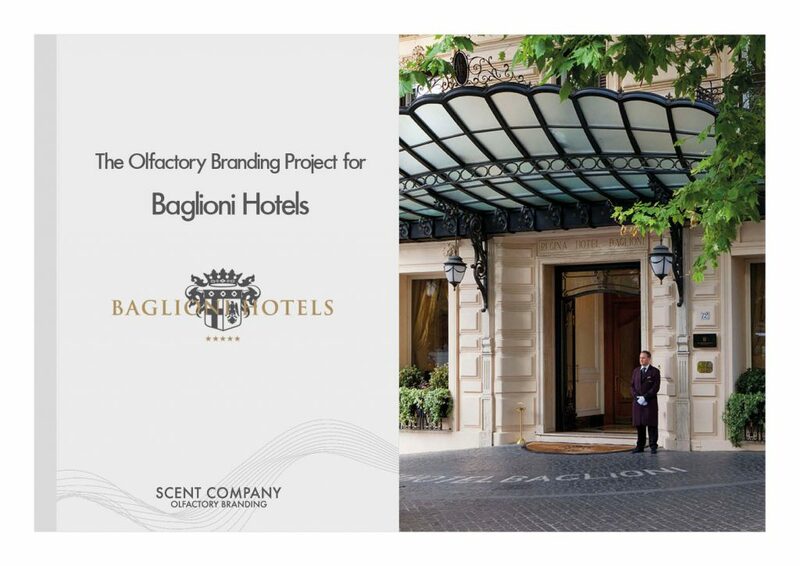 Scent Company collaborated with Sileno Cheloni for the following olfactory branding projects.